This August, Matterport is proud to highlight Dietrich Zeigler, the creative mind behind a new art initiative titled The Urban Jungle Project. 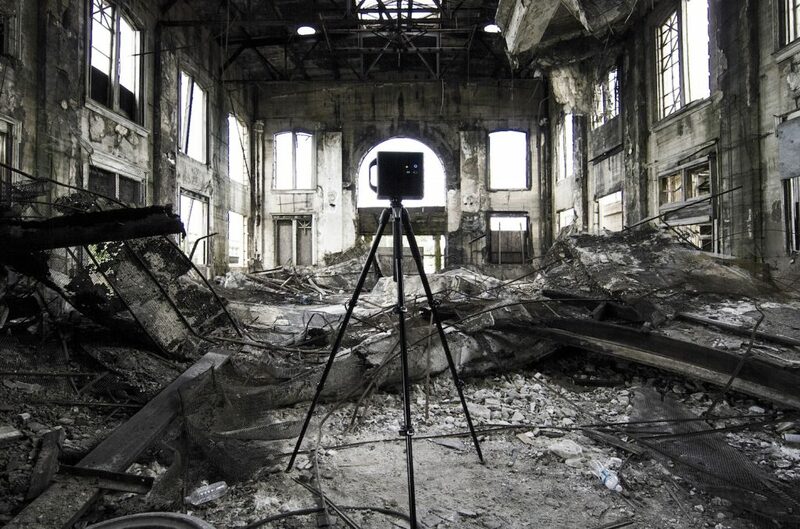 The Urban Jungle Project pushes the boundaries of the Matterport system by using it to create immersive 3D experiences of abandoned locations in order to showcase the beauty of decay. This creative endeavor adds a new layer of depth to the Matterport system and opens the doors for a wide array of creative projects, bringing more attention and interest to the Matterport 3D experience. 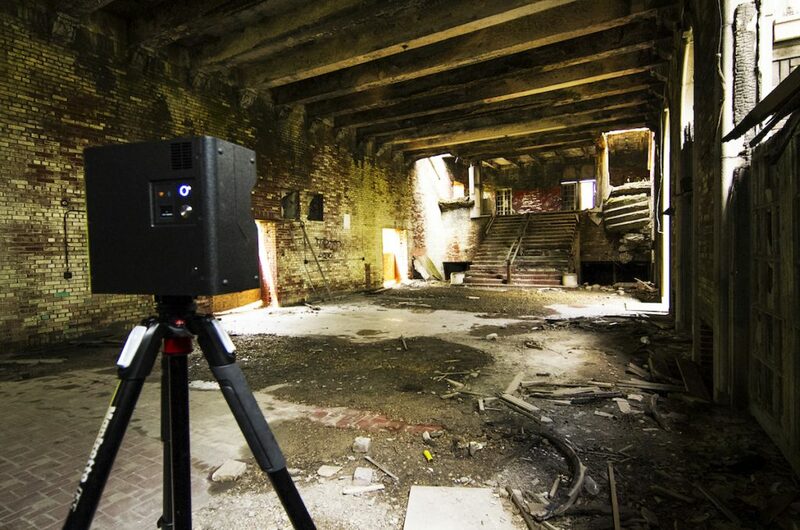 Zeigler begin this project by scanning the City Methodist Church, a locally-famous, abandoned Gothic church in Gary, Indiana, which was used as the location for St. Elmo’s Fire, Transformers 3, Nightmare on Elm Street, and other films. The church - though completely rundown - still retains a quiet beauty and an aire of mystery that has captivated the local community and other Urban explorers for years. After embedding the Space to his website and posting a few #behindthescan photos to his social media accounts, Zeigler was surprised to see a small spike in web traffic from new visitors all over the world. Once he’d received more positive feedback from his social followers, Zeigler decided to formally pursue the art project by targeting a few more abandoned locations in the area. After the church, Zeigler traveled to the southwest side of Chicago to the Damen silos, which had burned down several decades earlier. The space was covered with graffiti and overgrown with plants, but still makes for a serene, mysterious experience. Zeigler then went on to scan one of the basements of the silos and was surprised at how effective the camera could function in low light settings. The Damen silos were also used as a stage for Transformers: Age of Extinction. Zeigler also managed to capture Union Station, another popular Urban explorer destination built in 1910 and closed in the 1950s. The train station was built only four years after the city was founded in a Beaux-Arts style utilizing new cast-in-place concrete methods to mimic natural stone. Indiana Landmarks has placed the building on its 10 Most Endangered Places in Indiana list. The next location Zeigler captured was Gary's historical Memorial Auditorium, pictured below. The auditorium was built to honor those killed in war in 1927 and is made of brick, terra cotta and limestone in a Mission/Spanish Revival style. When in use, the site could site up to 5,000 people and once hosted a campaign top by President Harry Truman in 1948. “Matterport has gotten me to go places I’ve always wanted to go, and to capture it in more than just a static or linear way like with photo or video. When I review the Matterport Space, the memories feel alive and rich," Zeigler said. To explore Zeigler's Urban Jungle Projects, visit his website here. Elements of Media, founded by Dietrich Zeigler, has been offering Matterport 3D scan for several months and has already scanned several real estate listings, the Chicago WGN news studios and several new places for his “Urban Jungle Project”. He became a Matterport Service Partner to broaden his capacity to create new and engaging content to share across different media platforms and news organizations.